Compact, very hardy, semi-evergreen shrub. Small elliptic, dark green leaves, becoming brown-purple tinged in winter. 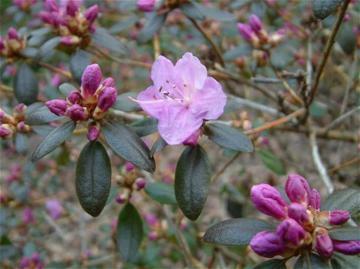 Small trusses of funnel-shaped, bright rose-purple flowers, opening very early from January to March.